28. Adrien Laugher-Werth, Co-Founder of EBM – How to Shape Human Behavior. 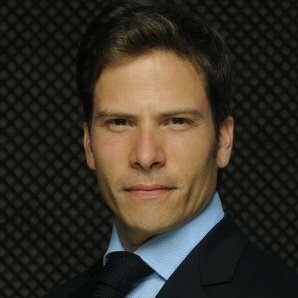 Co-founder and Chief Operating Officer for EuroBusiness Media, Adrien Laugher-Werth has +10 years experience helping French companies distinguish themselves and compete on an international scale for professional investors’ attention. How does your job fit into the marketing process? I do direct marketing for our two types of clients. Our first type of client is listed companies who need to market their company image for investment professionals. French companies have to overcome several hurdles to compete on an international scale for professional investors’ attention. First of all information isn’t distributed evenly- it’s not a perfect liquid market. Second there’s a plethora of information out there, so the problem becomes distinguishing yourself from all the information and attracting attention. You do that by bringing out the right message at the right time, and to do this you have to be spot on. For listed companies thats when their results come out, so usually companies come out with press releases with their financial numbers as well as a conference call providing a more in-depth presentatiion with Q&A. EuroBusiness Media helps companies by adding a video interview component to their press releases and the conference call. It’s a fact that companies whose CEOs are well known (in good way) and convey the right message – embodying their company strategy and way of operating – brings added credibility to the company compared to it’s peers. Think of any major industry, for example, and you can probably name one or two CEOs. Whenever there’s an international matter, journalists are always interested in having a thought leader’s opinon and impression. Maybe a particular company isn’t #1 in it’s industry, but you know the company because you’ve seen their CEO and you’ve heard him/her being interviewed. The CEO may have only been a reference, but when CEOs manage to reach that level it brings added value to their company. Therefore the CEO interview is one tool EuroBusiness Media uses to help the companies increase investor awareness by bringing out the right message at the right time. When companies publish results, analysts and investors might begin by turning to the company’s website and press page for information. We add to that the video interview ; we help companies shape and deliver their message through that medium. You will find the interview on the company website along with the usual financial information. In addition, we’ll push the the video interview to professional investors and place it online in key places where they will be able to view it if they haven’t already. That’s the kind of direct marketing campaign we provide. The second type of client is asset managers, to help them in their product marketing. The investment market, like any other market, has it’s products that go in and out of fashion. This year high-yield funds are in fashion. So asset managers are creating and marketing their high-yield funds. Do you also provide analytics so your clients can track their video’s effectiveness? Absolutely. What our clients want to do is to keep attracting investors, stay ahead of their competitors, keep up with their brand image, and communcate in a more elaborate way. When you do a direct marketing campaign by email you know who opened your email, who clicked on your link, how long each person stayed on your site, and how long they watched the video or read your content. With this relevant information on each person we’re targeting, we can then report back to our clients with a detailed visualization report. We use different channels to broadcast our client’s information, however not all channels provide accurate analytics. For example, if you buy advertising space in a newspaper you may know how many ads were printed by circulation, but you have no way of knowing how many people actually saw your ad and acted on it. Why do you host your own videos instead of using Youtube or another video sharing service? Hosting our own videos is how we attract investors back to our website so we can do analytics during our direct marketing campaigns. But after that the videos themselves have really short life-spans. Investors aren’t really interested in what a company said about their Q1 results which came out a few months ago, they’re more interested in what the company said about their Q2 results which came out three weeks ago. And three weeks from now no one will really care about that either. What’s an important lesson you’ve learned from experience? The better CEO-value, the better the company image. All other things constant, the better communicator conveys confidence and trust, and so usually has a better image in his/her industry. That is a valuable asset to any company. A major French bank that selects funds based solely on company CEO-values. The reason for that is that the bank found that when comparing two companies in the same sector, the company with a poor CEO value usually has a poorer stock performance than the company with a higher CEO value. Secondly, the reasons for which you were selected as a service provider aren’t always the ones you think. Always keep your ears open and listen to your clients, understand the way they operate, and how you fit in. Thirdly, EuroBusiness Media has to keep up-to-date with online trends and tools. When we began in 2002 we had to convince companies that online video actually worked. Later came Youtube, so we were out there promoting a new tool; we always try to remain at the forefront of what’s happening. What can you tell us about selling to the French market? If you’re providing consulting services in France, understand that it’s very difficult to sell to the French, to have them pay for consulting. It has to do with the way the French understand their environment. The French generally perceive their environment as much more stable than Anglo-saxons do, they don’t see as many threats. But the US and British understand that their environment is constantly changing and that they have to be more adaptable. Also, culturally the French don’t really like buying consulting services. Offering consulting services in France is best received when you wrap a product around it. Make a product out of your service so your clients can touch it and see it. It makes it easier to pay a premium for your service when it comes along with, or at least resembles, a product. I have a small advertising budget, any advice? Firstly, focus on aftersales. Once you sign clients, focus on keeping them happy and expanding on existing services and products. Basically, do more than expected and accompany your clients and they’ll stay with you for the long run. And then of course there is SEO. Not so much adapting your website to the way search engines work, but as you go through the process of doing your SEO you’ll find you improve the way you present your company and talk about it. It forces you to define what you are, who you are, what you do, and how you do it. The whole process of SEO forces you to improve your own view and marketing of your product or service. Posted on October 2, 2012 by Joshua SMITHPosted in interviewTagged communication, france, interviews, men, owners.